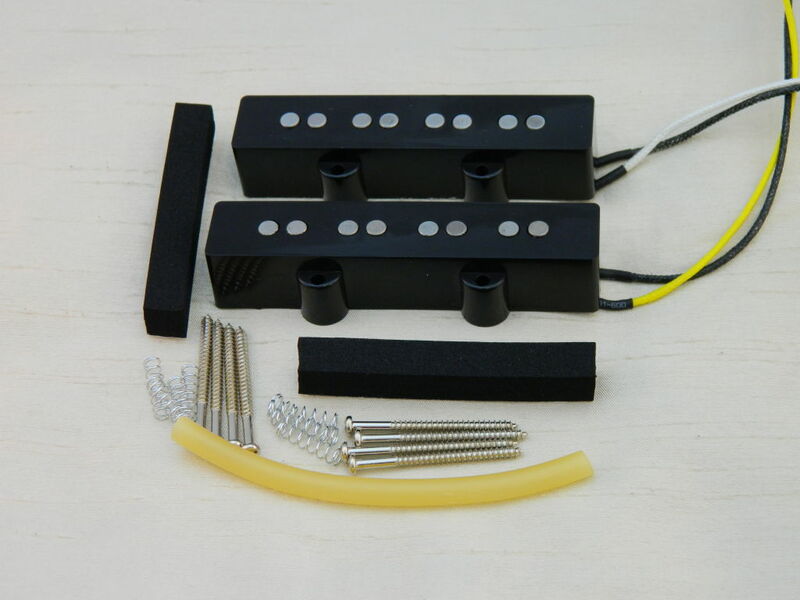 The Jazz Bass pickups are available as individual bridge, or neck, as well as a set. The set only, is additionally supplied in a rugged foam-lined presentation case (see photos). A comprehensive mounting kit accompanies all purchases. 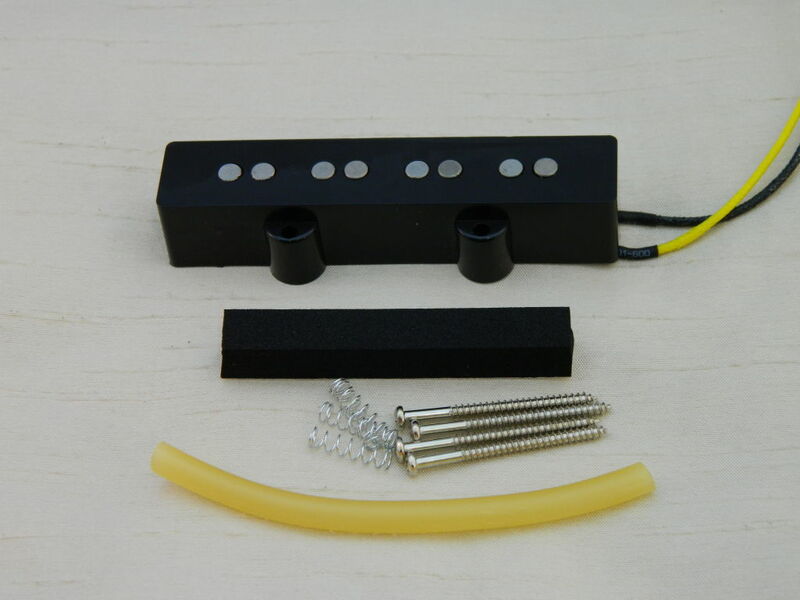 Also check out the new Ironstone hum cancelling dummy coil option for your new Ironstone, or existing Jazz Bass pickup set. 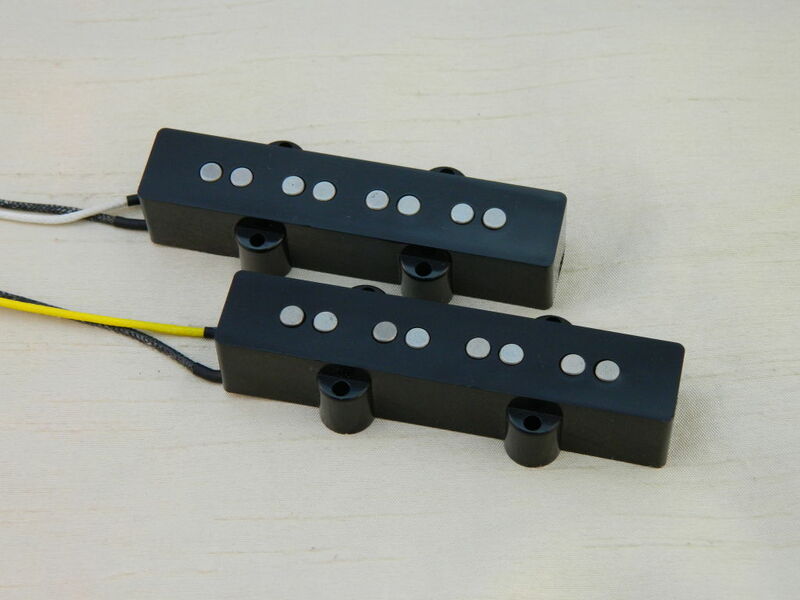 Designed as a simple retro-fit to overcome the frustrating mains hum that conventional Jazz Bass pickups suffer from. 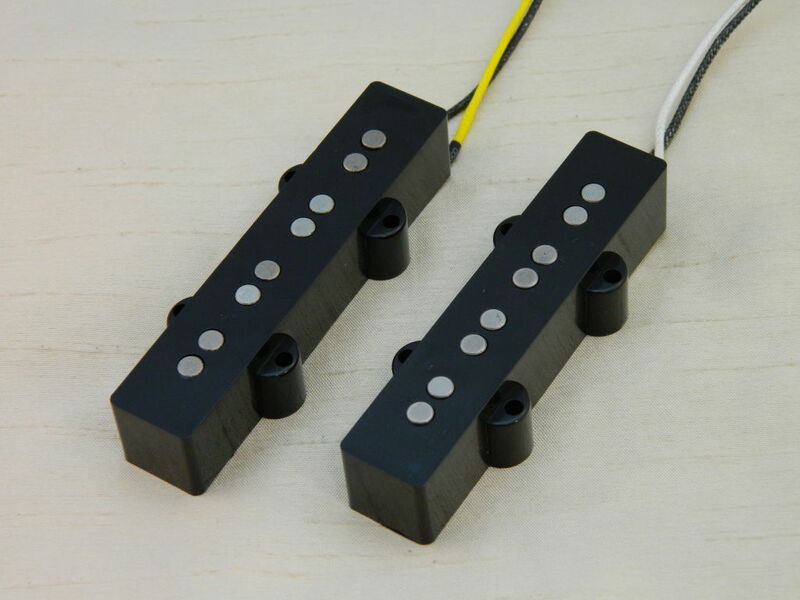 Assuming your guitar uses two standard RWRP pickups arranged with two standard volume potentiometers, then a straight-forward 2 wire installation of the Ironstone dummy coil system will eliminate nearly all of your unwanted hum from every combination of the two volume controls. Available as a reduced price option when purchased with a set in the selection box below). 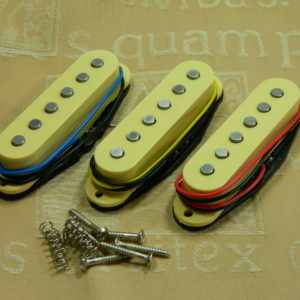 These Jazz Bass pickups, like the Ironstone Stratocaster & Telecaster range, are based on Alnico V magnet Pole Pieces for warm vintage tone. They feature resistances of 7.3K (bridge) and 7.1K Ohm for a balance of full authoritative bass, but with crispness in the tone to stand out in the mix. Their classic construction includes traditional fibre flat work bobbins and flat pattern Alnico pole pieces, spaced at 63mm (neck) and 65mm (bridge). To complete the vintage appeal, a generous length of waxed cloth (‘push-back’) connection cable is fitted. The pickups are configured as RWRP configuration, i.e. noise cancelling when selected / blended together. 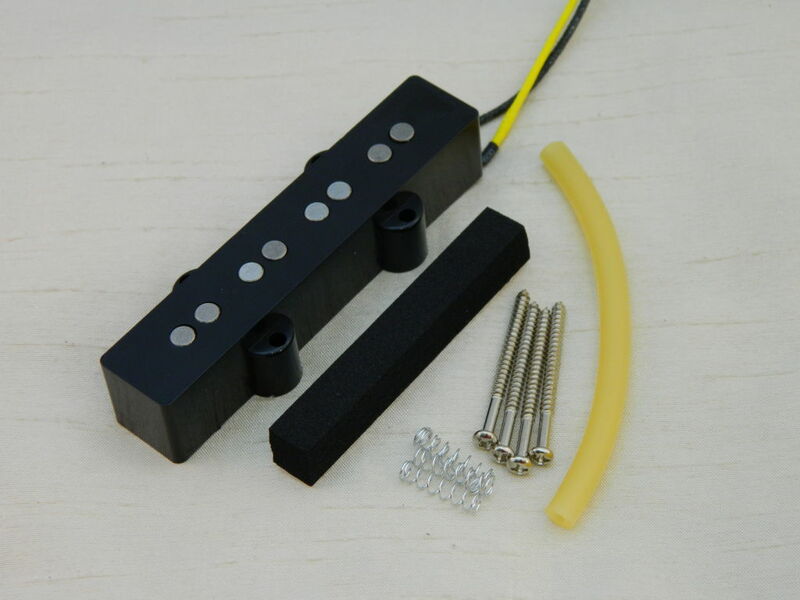 Standardly supplied with a fully comprehensive mounting kit of screws, springs, 2 lengths of self adhesive foam to attach under the pickups to support the mounting and a length of latex tubing. Simply cut this tubing into appropriate lengths for your instrument (approx 1cm), and use an alternative to the conventional springs, providing a firm yet adjustable mount. Please note some Jazz Bass pickups come in differing physical sizes. These are 95mm (Bridge) and 91mm (Neck) long. The following sound clips give a sense of the hum reduction based on a test guitar where the dummy coil is able to be switched in and out. Note, a normal installation would have the dummy coil permanently wired (so no switching noise). The recordings were made with the test guitar laying flat, giving the highest level of background mains hum (try this yourself!). Version 1 starts with the dummy coil off and a note played. After the note has faded, at 14 secs the coil is switched on giving the significant reduction in background hum. At approximately 25 seconds, the coil is switched off giving the jump in background hum. Version 2 is the reverse of version 1. It starts with the dummy coil on and a note played. After the note has faded, at 12 secs the coil is switched off giving the significant increase in background hum. Another is played (24 seconds) and then at approximately 35 seconds, the coil is switched back on, giving the hum cancelling effect. For all things Bass check out Basschat, the UK Bass Guitar players forum. 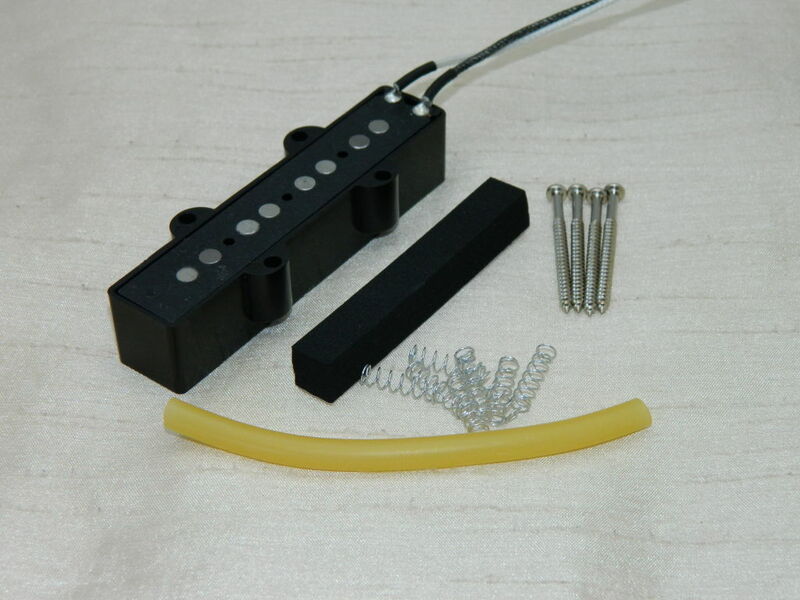 The Ironstone Dummy Coil system is designed to work with a standard Jazz Bass wiring and pickup configuration. 1) It should standardly wired with 2 separate volume potentiometers, one per pickup (rather than a single volume and blend control). 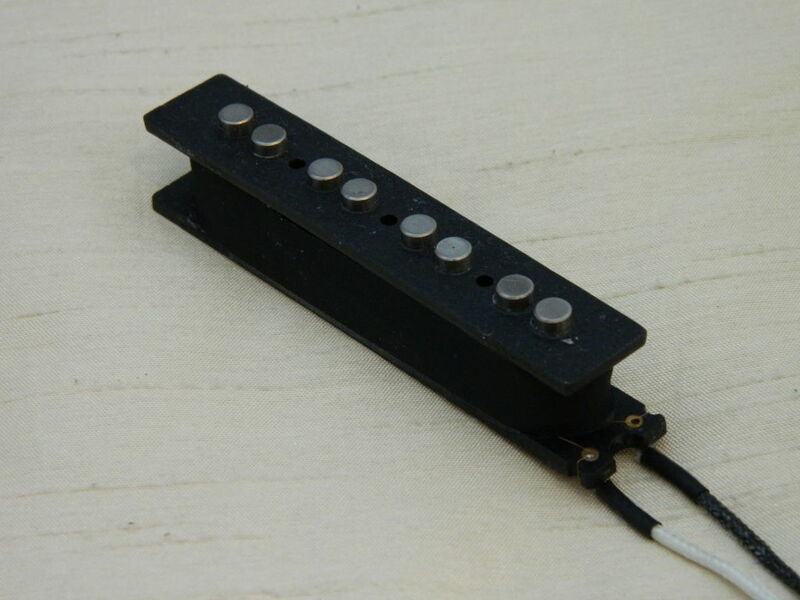 2) Your existing pickups need to be Reverse Wound Reverse Polarity (RWRP). That simply means that with both volume controls at full, the existing pickups hum cancel. 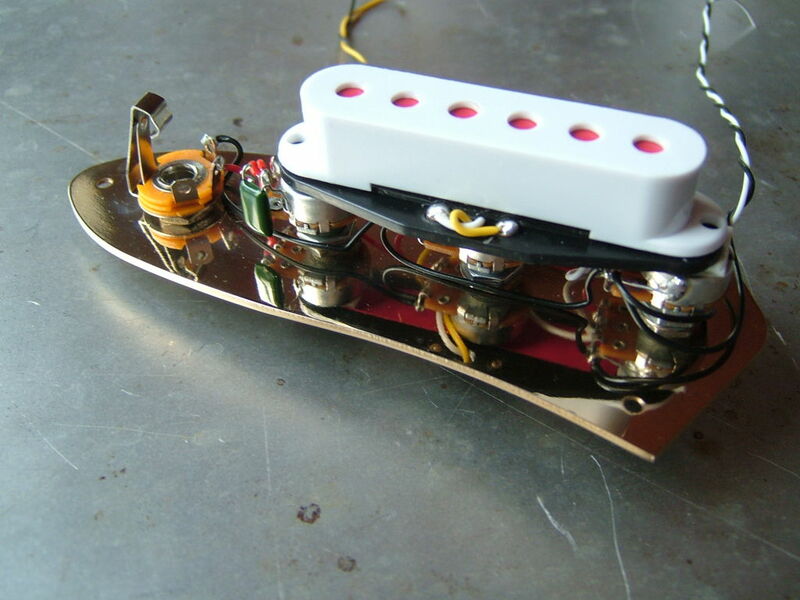 Ironstone’s own pickups and the majority of Jazz Bass pickups are built this way. 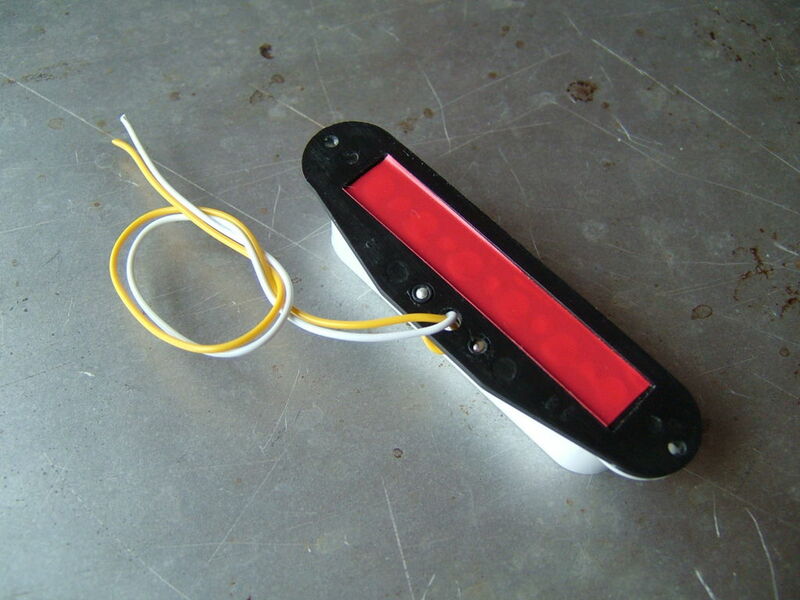 The dummy coil is designed to be mounted ‘under’ the 3 control potentiometers, either attached to the base of the 3 potentiometers via the supplied sticky pads or mounted on the base of the control well. Either approach requires there to be a clear space between the bottom of the potentiometers and the bottom of the control well of 20mm. 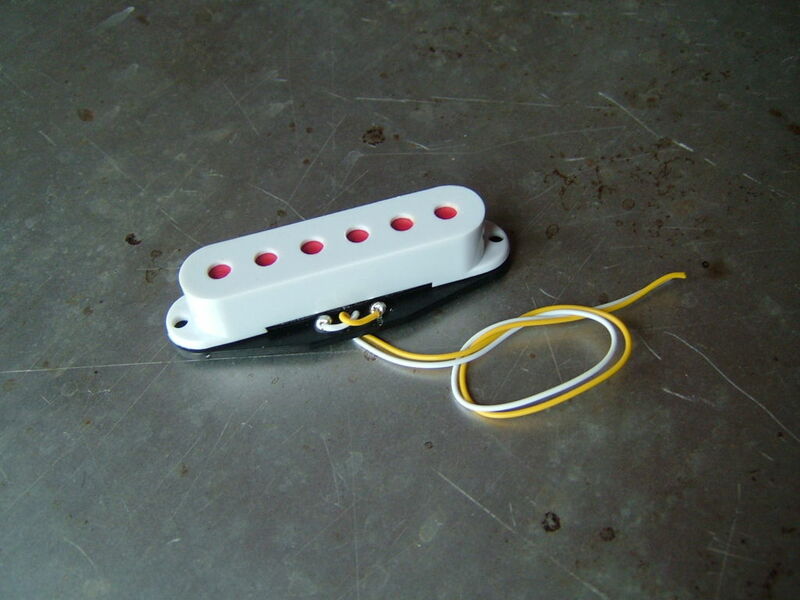 The Ironstone Jazz Bass Dummy Coil comes with simple to follow wiring and installation instructions. 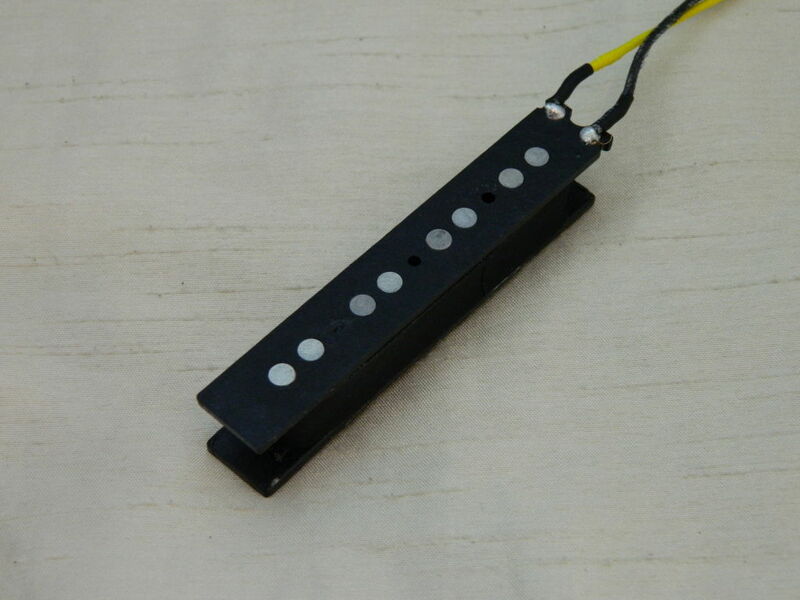 The dummy coil is specifically designed to work with standard Jazz Bass pickup and wiring configurations. Please check the compatibility tab on this page before purchasing. 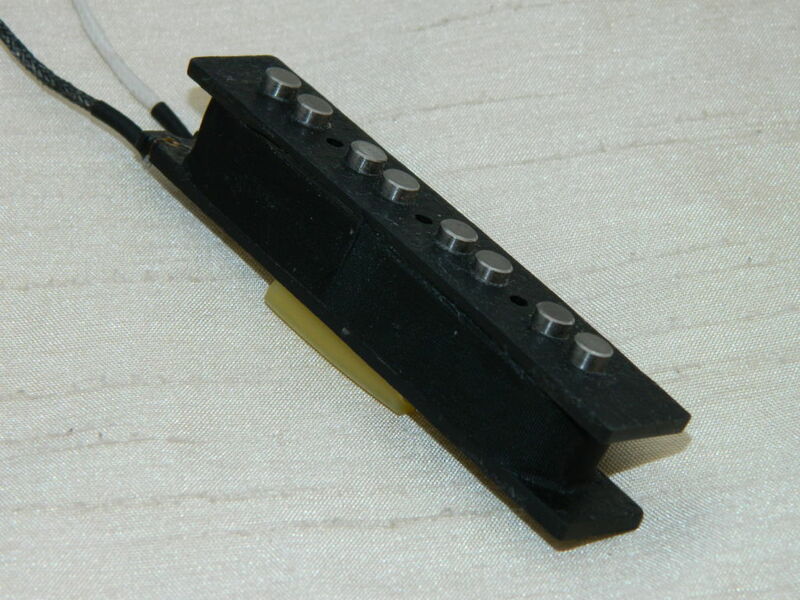 The connection configuration of the dummy coil in a standard Jazz Bass set-up ensures that hum cancelling occurs in all levels of pickup volume blend. So either pickup selected at any point of the volume control on its own, all the way to both pickups on full volume (in which case the dummy coil is effectively removed from the circuit leaving that hum cancelling setting the same as before the coil installation). What will be evident is a reduction in the overall volume of the guitar output for any given volume control setting. This is a by-product of the coil removing unwanted signal. Simply turn your amp up a little to compensate. It is entirely possible to have the dummy coil configured via a switch so that it can be switched in and out of circuit as you want. But for most installations, the dummy coil would typically be hard-wired under the control plate. I love my American Special Jazz, but I thought the sound could maybe be improved with new pickups. I felt the bass just lacked a bit of ‘bite, growl and clarity’ (I’d used an active bass before, so perhaps I was expecting too much from the ASJ). Read a few online reviews, and landed here. 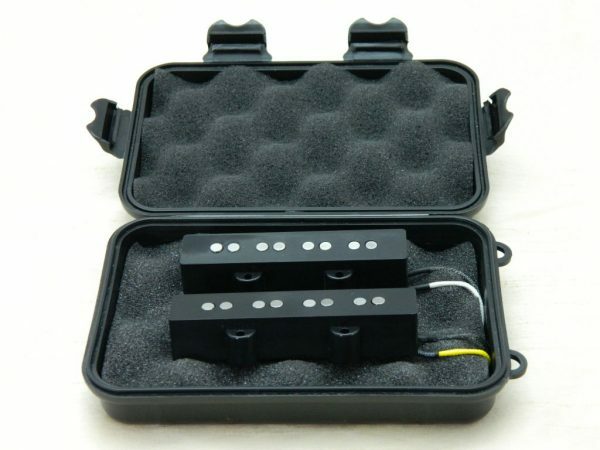 Due to the price of the pickups, I wasn’t quite sure what to expect…I decided to try them anyway. Sent a few emails back and forth to Tony for advice, then ordered a set. Damn!! These pickups have BROUGHT THE BASS TO LIFE!! I was truly amazed. They haven’t really ‘changed’ the sound of the instrument, just brought out EVERYTHING that wast there already…just ‘hidden’ (if that makes sense?). Consistent across the strings, highs and lows are spot-on. They can be really subtle, but have some REAL attitude when pushed! 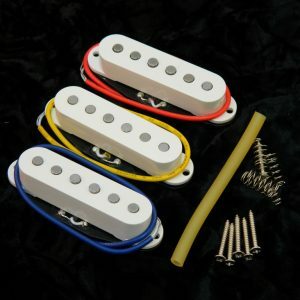 I cannot recommend these pickups enough, and Tony is a GREAT guy to deal with!! i purchased the Jazz pickups some time ago and fitted them to a Self build Jazz bass, great sound, punchy and vintage. I recently purchased a Squier Modified 70s Bass as my main bass and wondered what would the Ironstone pickups sound like, Wow what a difference from the standard pickups, real vintage and more punchy when compared like for like. I then upgraded the Pots to Varitone and CTS Volumes and again great boost in the tone. I have since purchased the Dummy Coil from here as well, bt unfortuantly cannot fit the coil inside the control cavity, not enough space under the pots with the Varitone pot installed which is a shame a trying the coild outside of the cavity did make a difference to the background noise the pickups make so would of liked to use it, but no matter, its there if i can find somewhere to fit it. I did a quick measurement between the normal pots, the bottom of the cavity and the Dummy coil, and found that the Dummy coil would not of fitted simply because the cavity has been routed out 1mm too shallow to allow the coil to fit under the pots normally which is a shame. Shame about the routing spacing for the dummy Barry. It does make quite a difference to hum levels. But glad you are so pleased with the JB pups of course. I took a bit of a risk with the new pickups because the bass already sounded good. It’s a vintage Fender Jazz with a classic, vintage jazz voice but I thought the old pickups lacked punch and really struggled when the tone was rolled right off. They had also become a bit microphonic. The new Ironstones have delivered everything I had hoped they would, the neck pickup growls hard, the bridge pickup barks and together they are perfect. The sound is now so clear that I now have the luxury of rolling the tone off to get my sound just right. Even a complete tone roll-off delivers something usable. I couldn’t have hoped for better and I can’t imagine any Fender Jazz sounding any better than this. Nothing of the vintage voice has been lost and every element of tone has been improved. I also love the case that they came in, the old pickups live in there now. Vintage tone is what Ironstone is all about Mark. And glad the case has come in useful too! I bought the Jazz Pickups a few months ago, but didn’t manage to fit them for a good few weeks. This was due to me still building my project bass. It’s based on a Jazz bass but has a floating one piece maple bridge and a neck set back at 3 degrees. The body is 5 piece with black Limba wings and a Meranti centre block in a Maple sandwich. Apart from the ironstone Pickups, I also used CTS pots and vintage cloth wiring. Without being able to compare the pickups with anything else, and not knowing how the project would turn out,I suppose it was all a bit of an unknown quantity. However having played it for a few weeks, I need not have been concerned. I am more than happy with the pickups and the bass as a whole. The sound to my ears is just lovely with a great smooth vintage tone and fantastic sustain. Several people have complimented me on the sound and agree with my assessment. 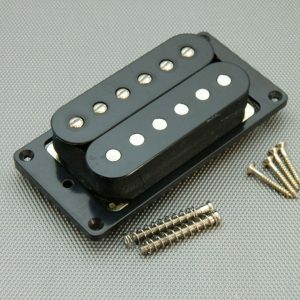 The pickup choice just seems ideal, and I am more than happy to recommend for both tone and price. I am glad I came across Ironstone…hmm think i feel another project coming on! Hi Stewart, thanks for the glowing review. 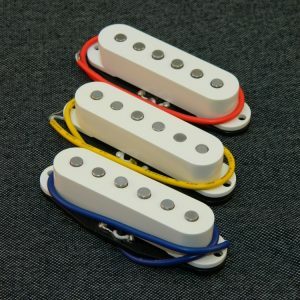 As you say, a new set of pickups can feel like a leap of faith. At Ironstone we are always happy to offer as much advice and support as we can to get you to tone you want. Enjoy! “My observation is that I do not hear much volume reduction. What I do hear is a slightly different tone adjustment. 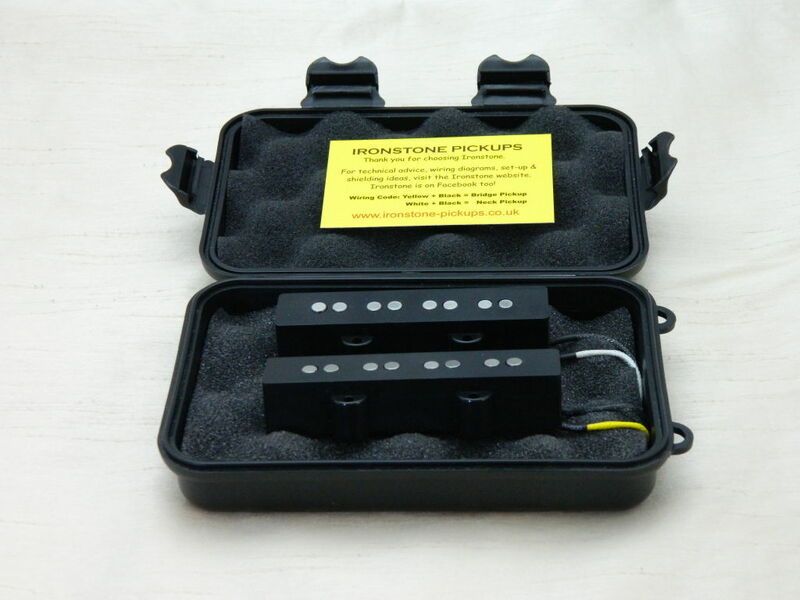 Less treble rolls off when I turn down the bridge pickup and less bass rolls off when I turn down the neck pickup. All this is within totally workable ranges and the bonus is that rolling back the bridge pickup produces a more usable sound than before. The only way to describe it is that the B-string thump, for which I used to have to have the bridge pickup fully on to achieve, is still there when I turn the bridge pickup down a bit … but a bit of edge is rolled off the higher notes. I like it. The only other thing I’ve noticed is that when I turn a volume knob all the way down, right near the end there is a volume floor drop. Since I never fully favor one pickup, it is not a problem. For your reference, the bass I installed the Ironstone Jazz Bass Dummy Coil is a Squier Vintage Modified Jazz Bass V, made in Indonesia by Cort. To remind you, I had previously replaced the stock pickups in this Squier Jazz to supposedly hum-cancelling pickups, a no-name pickup ordered from China. They reduced the hum somewhat but did not eliminate it. The Jazz Bass Dummy Coil did. “Just some feedback to say, I have just finished some shows with your pickups, hands down the competition need to be concerned!! They are brilliant!! I am using the pickups in a custom 64 Fender jazz bass with a twelve position varitone, which really brings out great tone for all styles of music. Better than anything I have tried over the past thirty years! Look forward to do more business with you. “Many thanks for the Jazz Bass pickups you sent to me via eBay. I fitted them last weekend and went for a rehearsal with my guitarist friend ( wedding gig coming up in September), from the very first note we noticed the huge improvement in tone and sustain over the standard factory fitted pickups. I play a Fender 70 s re-issue Jazz Bass made in Mexico, so I assumed that they would have a reasonable pickup quality fitted into them. My amp is an Ashdown MAG300 with two 4×10 cabs. It took only one song for us to be grinning like fools and singing the praises of your awesome pickups! They have a fantastic clarity yet deliver a powerful bottom end, I could hear all the tones that my bass is supposed to produce and they gave a whole new and very professional sounding lease of life to my bass. 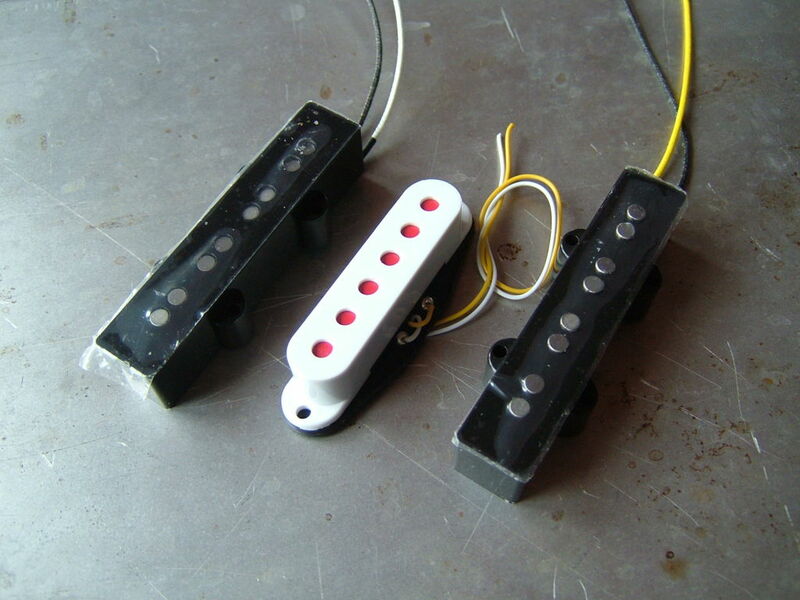 I chose these pickups for my Fender classic 70 Jazzbass. The quality is top. The sound is excellent with a very good vintage tone !!!! 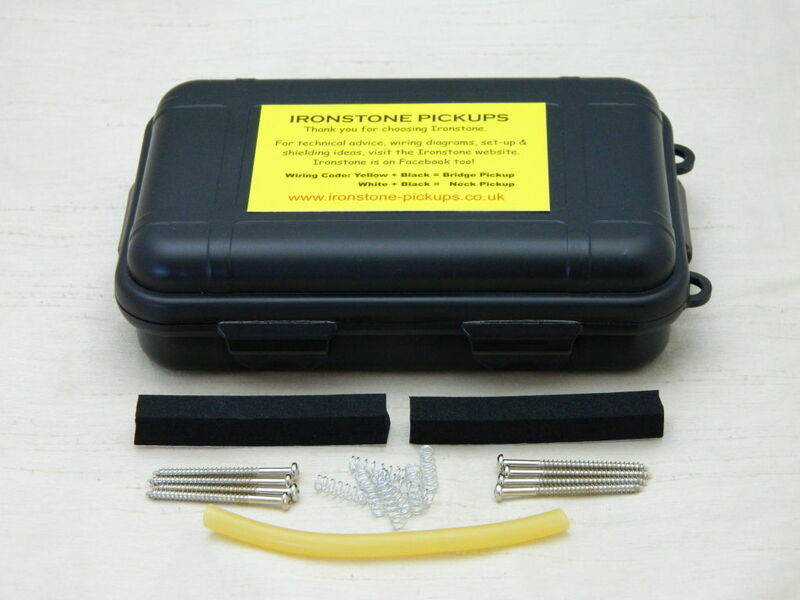 For the price, the kit is complete with screws and rubber tube and springs. Perfect, I highly recommend !! I decided to try this pickups first of all for their really super competitive price, i have a fretless jazz bass with humbuckers , and i was searching search a true vintage style alnico V single coil.These pickups are great, a really vintage sound jazz bass with a very nice dynamics to the fingers touch, they sound fantastic with my fretless. They are very well made , with lot of attention to the details, they came with all the accessories for mountig and also something more ( plastic covers , neoprene cushion foam , screws and also a rubber tube and also with springs!! ) all into a very nice plastic box, for their cost they are near to be a miracle!! I highly recommend this jazz bass Ironstone pickups, they sound very nice, are very well made and have a really outstanding value. Many thanks for the comments Marco. I try to provide a complete kit as you have found! Bought these pups to uprate an old Squier jazz bass I picked up and the end result is very good indeed..Plenty of punch and good note clarity even with the flat wound strings that I use for blues/country rock.Well constructed and with a comprehensive fitting kit,choice of springs,foam,or rubber tubing and screws these pups are very good value.